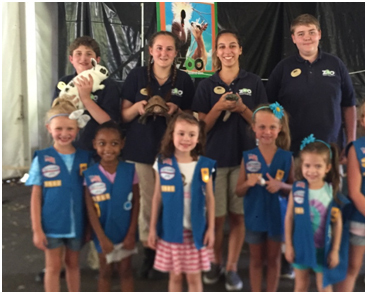 The Staten Island Zoo education department will work with your after school or scouting group to arrange an after school or weekend experience at the zoo. We can modify the presentation to meet the requirements of certain merit badges. Please contact the education department for details. Programs are 1.5 hours and include a tour and animal presentation. Contact the Zoo’s Education Department at 718-442-3100 ext. 33 or education@www.statenislandzoo.org to arrange your experience.